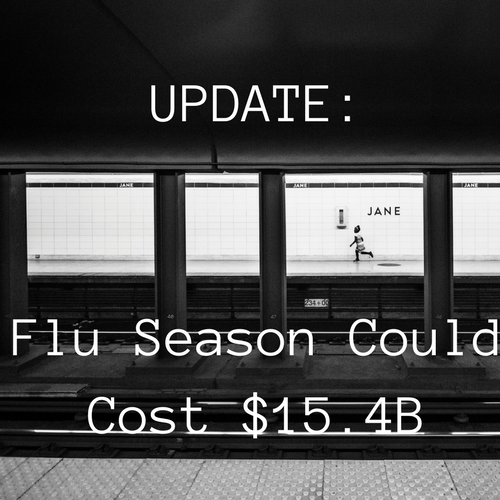 UPDATE: 2017-2018 Flu Season Could Cost $15.4B | Challenger, Gray & Christmas, Inc. The aggressive strain of flu currently making its way across the country is producing similar activity as when nearly 40 million people were sickened in the 2014-2015 season, according to the CDC. Considering this new information, this flu season could cost at least $15.4 billion in lost productivity, according to an updated estimate from global outplacement and executive coaching firm Challenger, Gray & Christmas, Inc.
“If this strain sickens as many people as during the 2014-2015 outbreak, over 18 million workers could miss work due to illness, increasing our previous estimate by 64 percent,” said Andrew Challenger, Vice President of global outplacement consultancy Challenger, Gray & Christmas, Inc. According to the Centers for Disease Control and Prevention (CDC), more than 30 million people over the age of 18 suffered from the flu during the 2014-2015 season. Additionally, employed adults aged 18 and older averaged four lost work days due to illness or injury in the past 12 months, according to the CDC’s National Health Interview Survey published in 2014. To arrive at its estimate, Challenger looked at the number of illnesses for those over the age of 18 in 2014-2015, used the current employment-population ratio of 60.1 percent, and the average hourly wage of $26.63. With over 18 million estimated employed adults missing four eight-hour shifts, the cost to employers could reach $15,424,800,736.32. However, the CDC also stated that the number of illnesses could reach 2009 levels, when the swine flu sickened an estimated 60.8 million people. If the flu season continues to be as severe as the 2009 swine flu pandemic, productivity losses could hit $21 billion. Find out how to mitigate risks here.